Random House Children's Books, 9780679889168, 416pp. 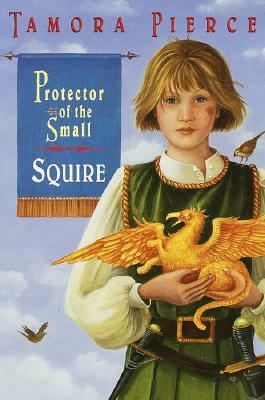 At the age of 14 and standing 5 foot 10, Keladry of Mindelan is a squire. A squire serves and learns from a seasoned knight for four years, then faces a final test. That final test is the Ordeal, which takes place in a magical room called the Chamber. There, a squire encounters the parts of him or herself that the Chamber deems to be the most difficult to face- be they fears, failings, or unrepented wicked deeds. Does Kel have what it takes to survive?